Dr Carver is a Geographer and Senior Lecturer at the University of Leeds. He has over 30 years' experience in the field of GIS and multi-criteria evaluation with special interests in wilderness, wild land, rewilding, landscape evaluation and public participation. 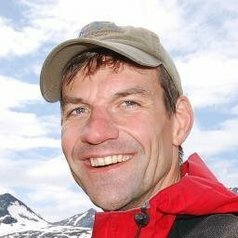 He has worked extensively on the development of wild land mapping and evaluation methodologies and has tested and applied these across a variety of locations and spatial scales including Scotland, England, Britain, Europe, North America and Asia. He has worked with a range of agencies on wild land topics including Scottish Natural Heritage, the Scottish Government, The John Muir Trust, the Countryside Agency, EU, the USDA Forest Service and US National Park Service. He has published this work widely in over 100 papers, books, book chapters, conference proceedings and generalist articles. He is Director of the Wildland Research Institute and is a member of the IUCN Task Force on Rewilding. He also sits on advisory panel for the Wild Ennerdale and Rewilding Britain projects and is co-chair of the World Wilderness Congress' Science and Stewardship Symposium. He is the co-author (with Ian Heywood and Sarah Cornelius) of the best selling text book "An Introduction to Geographical Information Systems" and sits of the editorial board of the International Journal of Wilderness. Technical research interests focus mainly on GIS related issues, especially on environmental management/modelling applications, visibility analysis and methodologies for spatial decision making and support including public participation. Topical areas of research include landscape assessment, especially in relation to wild land, rewilding and wilderness environments. He has been involved in a number of large multidisciplinary research programmes which have drawn on his expertise in the wilderness and GIS fields.